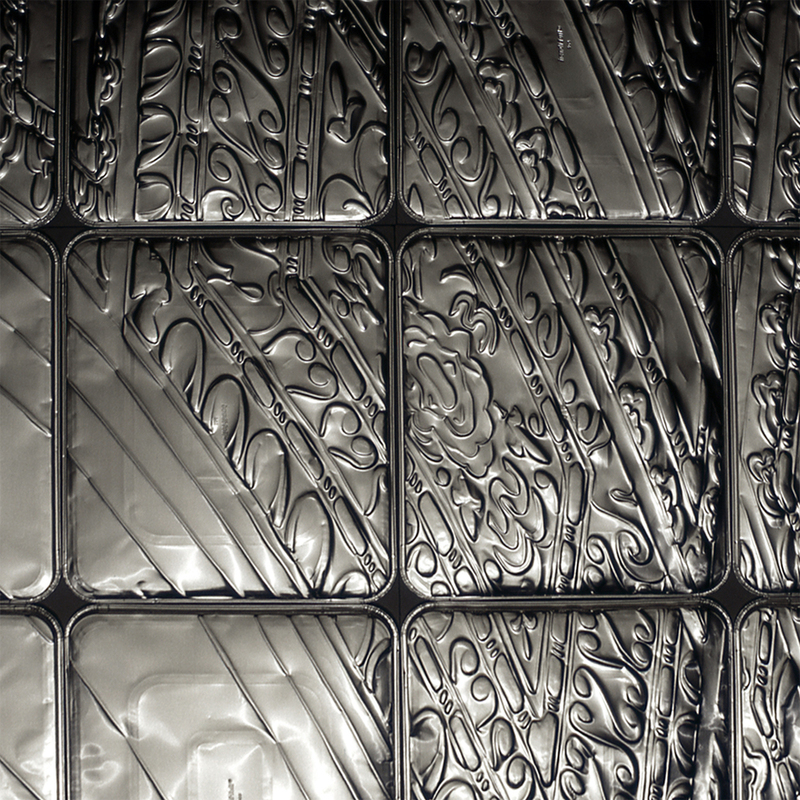 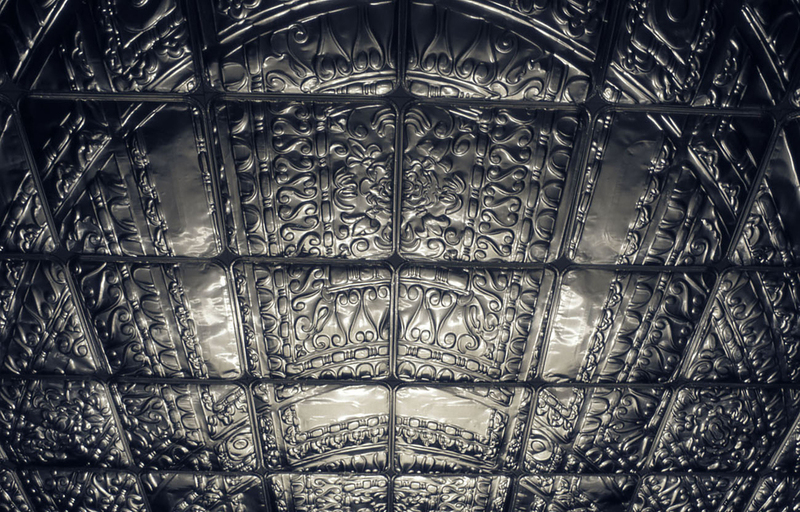 Materials: (Ceiling installation) Hand-embossed foil pans attached to false ceiling support. 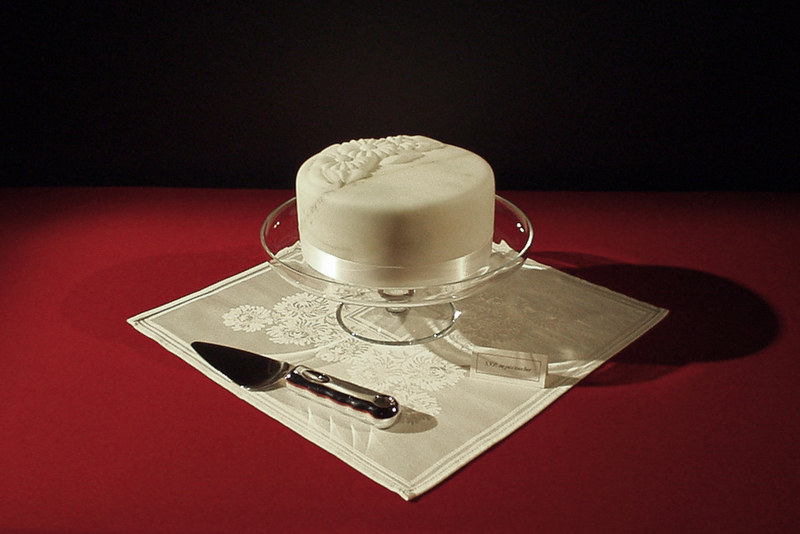 (Cake sculpture) made from hand carved Indian white marble. 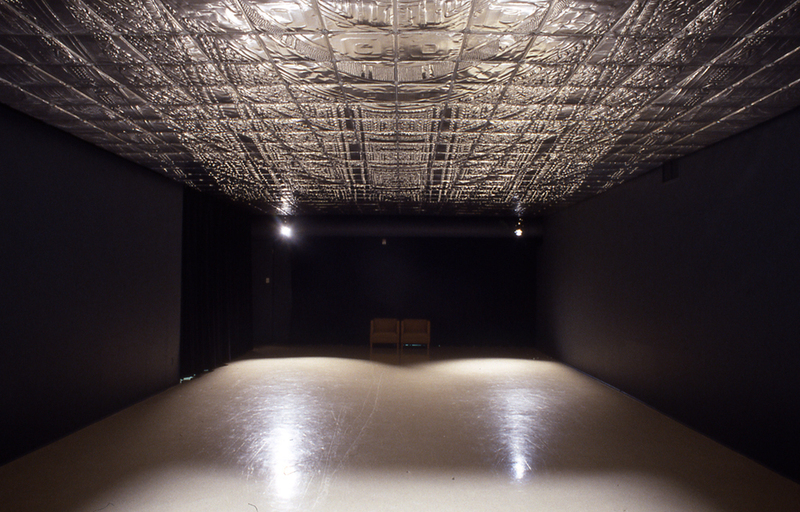 In the images below, the 2 elements were exhibited together at the Maison de la culture Ahuntsic-Cartierville (Montreal, QC). 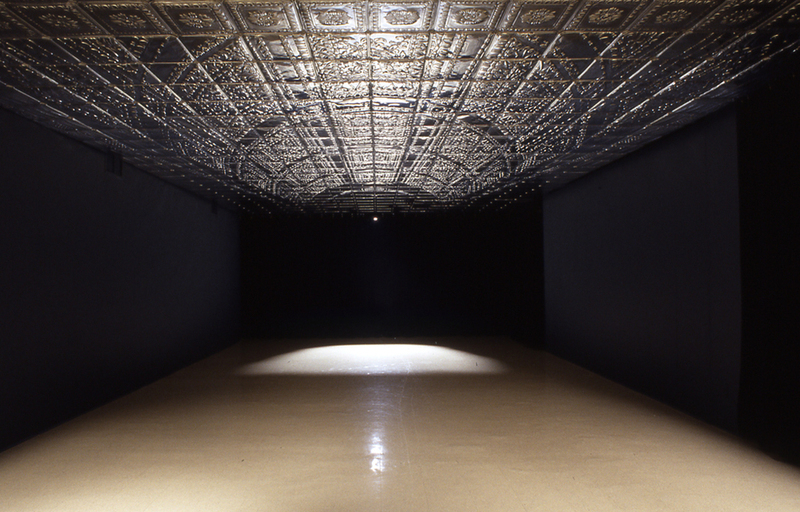 This ceiling installation was also shown at the Dalhousie Art Gallery in Halifax and at Stride Gallery in Calgary.